Create quality time crafting with your kids without the prepwork! 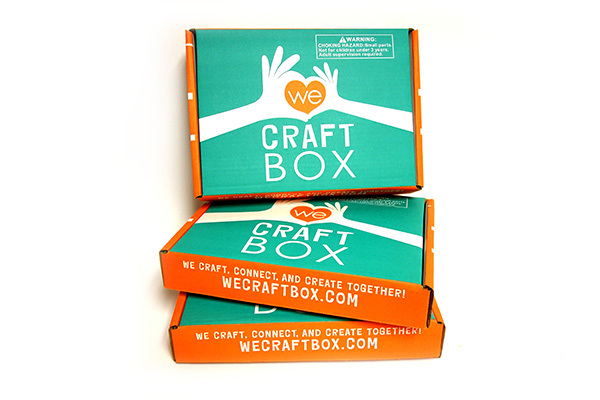 We Craft Box is a crafting unit in a box. We set you up with all the materials and directions to be imaginative and create. Each month showcases a new creative theme and materials from outer space and glow in the dark, to Polar Bears and modeling clay. Our monthly subscription boxes are packed with fun and imaginative prepared crafts for kids! 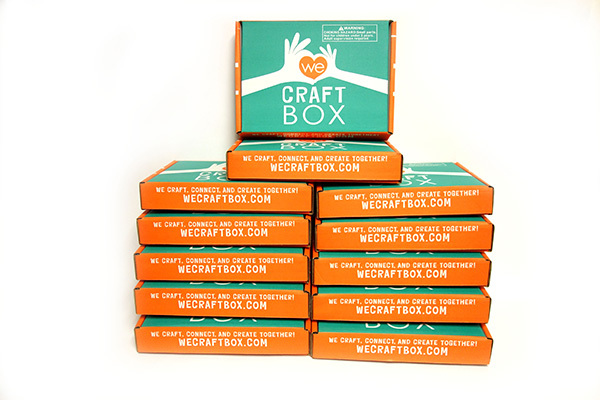 Prepared Craft Boxes Delivered to your Doorstep! Be creative, make memories, and enjoy time together, as each monthly subscription box comes with a themed story, coordinating crafts, ready-to-follow photo directions, and all material needed that can be shared between two children. All materials included to craft (with the exception of water and scissors). Each box can be shared between 2 children! Each month has a new and exciting theme to create. Easy to follow photo instructions to complete all the crafts. We set you up with the pieces and you let your creative imagination run wild! You can send a single box or a gift subscription of one month to a full year! The first box comes with your personal gift message! Renews on the 11th of each month. Cancel renewal at anytime. Renews on the 11th of month after term. Cancel renewal at anytime. We Craft Box has been super fun! There’s plenty of material (even stuff left over for future art projects) and always a really cute story to go along with the project. My kids love it! I love it! The box was full of fun surprises! The kids loved crafting and they keep asking for more. The four year old girl I'm babysitting pulled out one of the old boxes and still found the left over crafting materials exciting to play with in a few different ways. 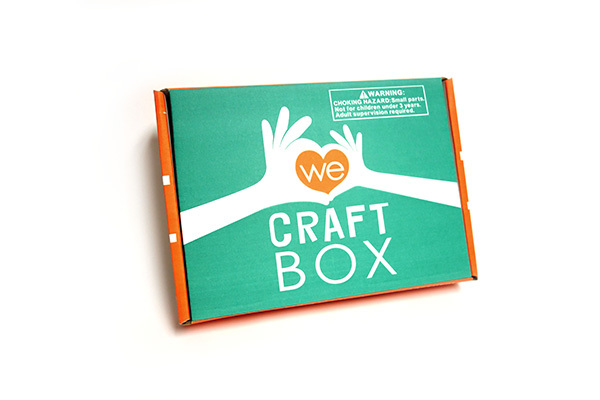 I love that these unique boxes encourage kids to be creative and let parents connect with their children too! I am so in love with these craft boxes! Since having a new baby at home, my 3 year old and I struggle to find things we can do together. Our “orange box”, as my daughter calls it, gives us the ability to sit down together and do fun crafts that we both love. Having all of the supplies there ready to go means we have more time doing the fun stuff! 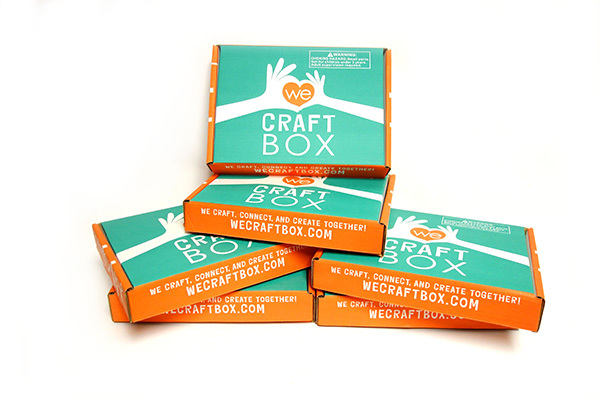 Short on time, but still wanting to have those magical creative moments with her children, We Craft Box founder Betsy Wild created a solution for her family, that's now making creative family time easy for everyone!